Free Activities Seasonal Fun Pass and Beach Service! 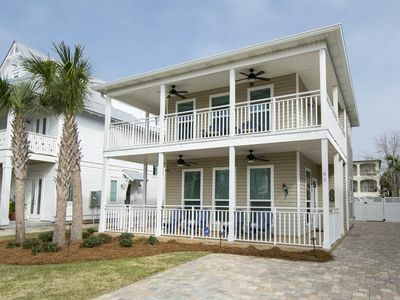 Coastal Chic and Beautiful Just Steps to the Beach! 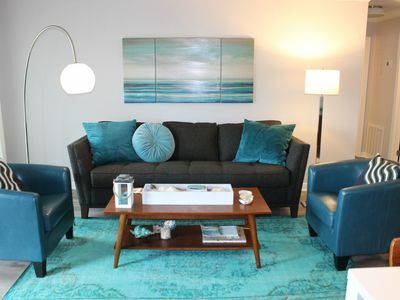 Relax in this newly decorated and freshly painted modern two-bedroom/two-bath, pet-welcoming Condo*. 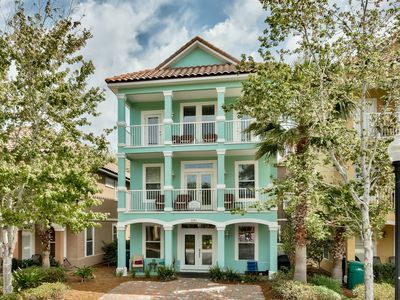 Located on the first floor of the popular and family-friendly, beach-side community of Sandpiper Cove. 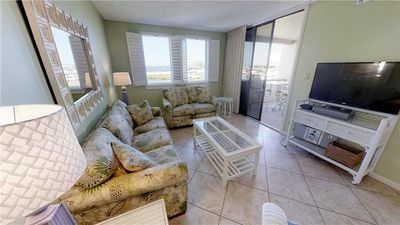 We provide beach service with this unit from March to October so you can enjoy the luxury of two of your own private beach chairs and an umbrella. *Small Pet under 20 pounds Only. Absolutely no cats! 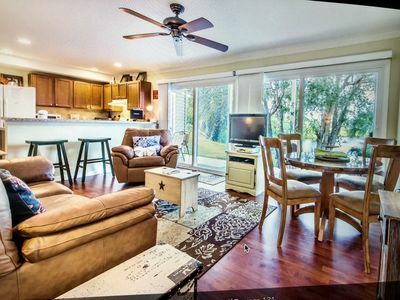 This newly renovated in January 2019 unit boasts granite counter tops as well as hardwood floors. 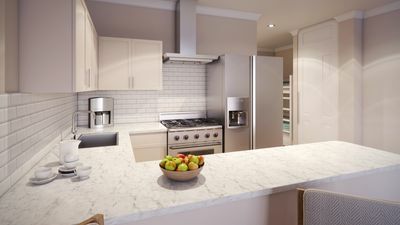 Everything you will need and everything is NEW in this well equipped kitchen including new stainless appliances with a double oven. 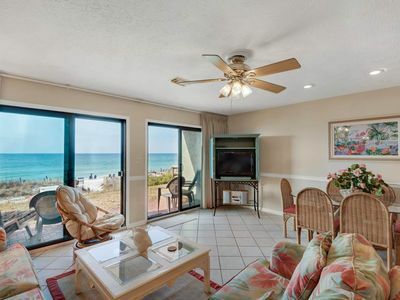 A chef's dream kitchen at the beach! 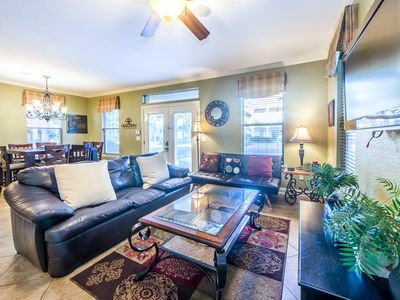 Our large bedrooms and baths provide luxurious rest and privacy for the whole family. 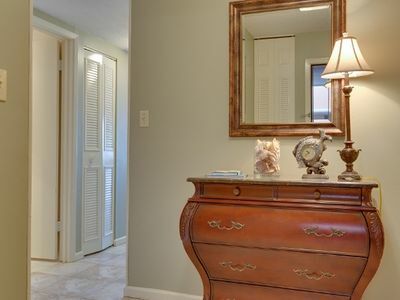 The master suite features a king bed with a memory foam mattress for the extra comfort. 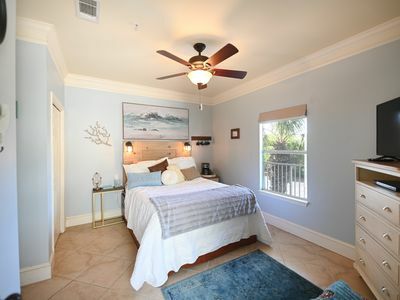 The two twin beds in the guest bedroom also include memory foam mattresses. 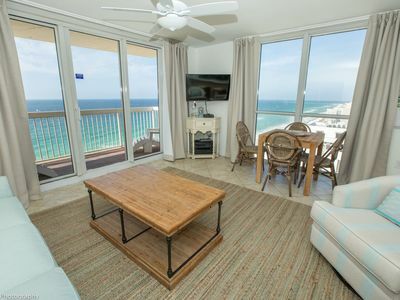 For added guest convienence and beach towels, there is a washer and dryer in the unit! 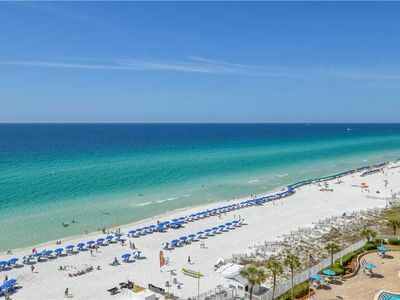 Take a short stroll to the sugar white beaches of the Gulf Of Mexico where you can enjoy the warm Florida sun. 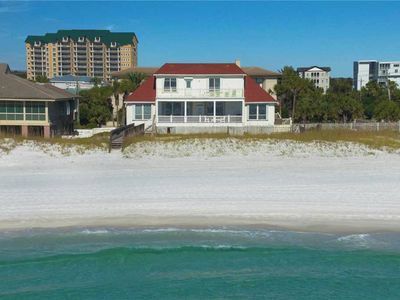 There you can and sip on a cold beverage or hot meal from Ricks Sandtrap (seasonal) right on your private beach. 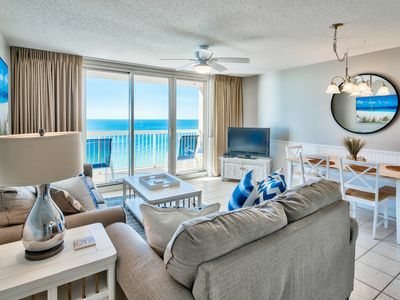 Enjoy a swim in one of Sandpiper Coves's five pools, two of which are heated during the cool months or relax with a hot soak in one of the three hot tubs, How about a game of golf on the 9 hole pitch and play Golf course or tennis anyone? 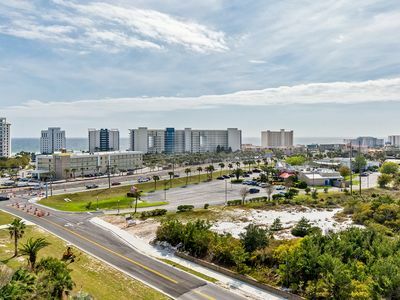 After your fun filled day grab a bite at one of the locals favorites, The Louisiana Lagniappe Restaurant. 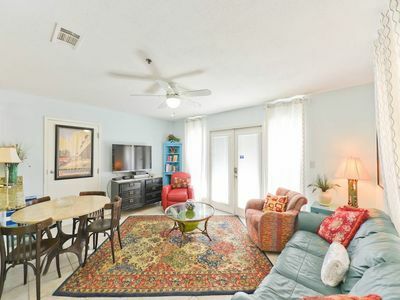 Sandpiper Cove truly has a little bit of it all! 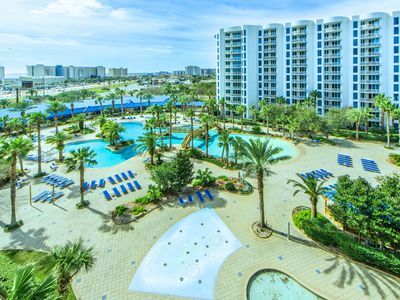 Stay with ResortQuest this Winter and Book the Lowest Rates of the Year. 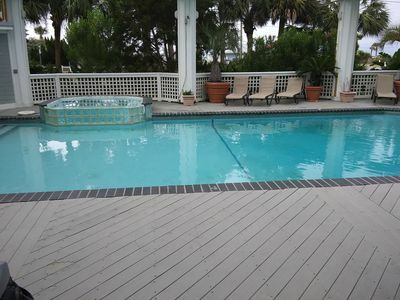 BOOK NOW | Vacation Home with Private Pool~Pet Friendly ~Steps to the Beach! 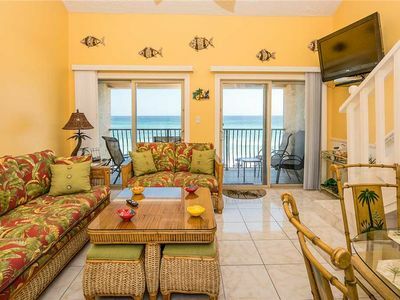 BEACHFRONT condo w/ PRIVATE BALCONY! 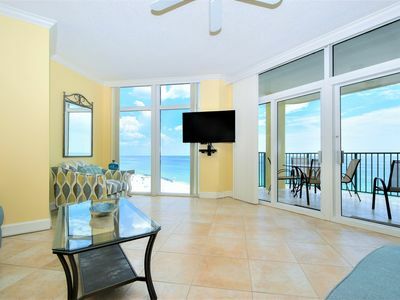 UPDATED coastal theme, OPEN CONCEPT condo! 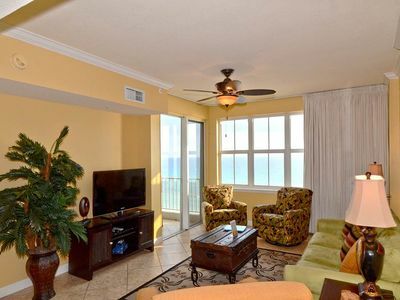 Holiday Blitz - Gulf Front, Private Pool, Pet Friendly, Free Beach Service!